By road, with a good run, Newcastle to Swansea is a 12-hour, 700-mile round trip. Newcastle to Brighton is roughly the same. 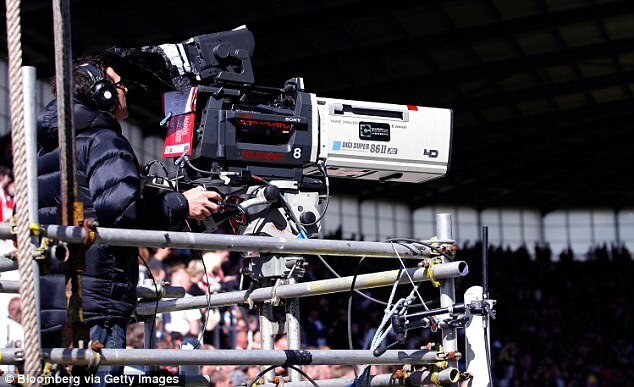 It is, indeed, insensitive that the demands of television have given Newcastle fans those fixtures as back-to-back away games in September — with 4pm Sunday kick-offs. At best, toe down, those travelling by motorway will not be home until midnight — in reality, probably much later. There is only so much a supporter should have to do for his club and being up until 2am before a working Monday twice in the same month exceeds the bounds of loyalty. Yet following Newcastle will always carry a logistical burden. Every year their fans do many more miles than those of any other club. This season, they won’t even have the let-off of the odd local derby, with Sunderland and Middlesbrough in the Championship. It leaves Huddersfield and Burnley as their nearest opponents — around 250 miles and a round trip of more than four hours each. So we have to be realistic. There will never be a good time to move a great many matches but if the game, and the fans, want television revenue at this excessive level there is a price that has to be paid. Yet every year when the TV fixtures are announced we enter a period of denial. This season is no different. Leading complaints are the Football Supporters’ Federation. No, it isn’t, because we can all see it. As well as those Newcastle fixtures, Huddersfield play at West Ham on a Monday night and Manchester City go to Bournemouth for a Saturday lunchtime. Leicester fans must battle through London’s Friday night rush hour to make the opening fixture of the season at Arsenal. Yet what is the real alternative? What times are less ridiculous, but still compatible with TV audiences? Monday night football dates back to a match between Manchester City and QPR on August 17, 1992; it has been running on and off since then. Tuesday, Wednesday and Thursday are UEFA and the domestic cups’ preserve and few want more Friday games. That leaves the weekend. Nothing can clash with the Saturday mid-afternoon programme, leaving evening and lunchtime. And Sunday. With Britain’s transport network creaking, unless television only ever shows local derbies, somebody is going to be inconvenienced. Plus, there are other demands on the calendar. The Monday that Huddersfield travel to West Ham, September 11, follows the Sunday that Newcastle go to Swansea. But the match Sky would have wanted to push back that weekend is undoubtedly Manchester City v Liverpool. The problem is the Champions League, which starts the following week. The draw hasn’t been made yet, so we don’t know who of Manchester United, Manchester City, Liverpool, Chelsea and Tottenham are going to be involved on Tuesday night. The Premier League is always accused of being oblivious to the needs of English clubs in Europe, but they have ensured all Champions League entrants play on Saturday that week. Meaning four fixtures are out of the Sunday and Monday broadcast schedules. Equally, Arsenal and Everton are in the Europa League the following Thursday, so could not be included in any Monday TV commitment. Bournemouth’s match with Brighton is slated for the next Friday, so it wouldn’t be a great look to have either club on twice in a week. So that’s Arsenal v Bournemouth out, too. Leaving four games to fill three broadcast slots: Southampton v Watford, Burnley v Crystal Palace, Swansea v Newcastle and West Ham v Huddersfield. All involve motorway hauls meaning fans will be put out. Anyone who has braved the late-night roadworks on the M3 recently will know that Southampton to anywhere after 10pm is no picnic. Making Southampton v Watford the Monday fixture instead of West Ham and Huddersfield relocates misery, rather than removing it. Contrary to popular belief, television companies do not just announce their schedules with maximum relish for human despair. They all need to get home, too. Often they are working within restrictions that few contemplate or understand. So consider Newcastle’s away fixture at Swansea. Whenever it is played, it is always going to take all day to travel from Tyneside. Even with a 3pm, Saturday kick-off it still involves a 7am departure and a return around midnight. Is that better than a Sunday 4pm start? Yes, but not greatly. It’s still a geographical pain in the neck. 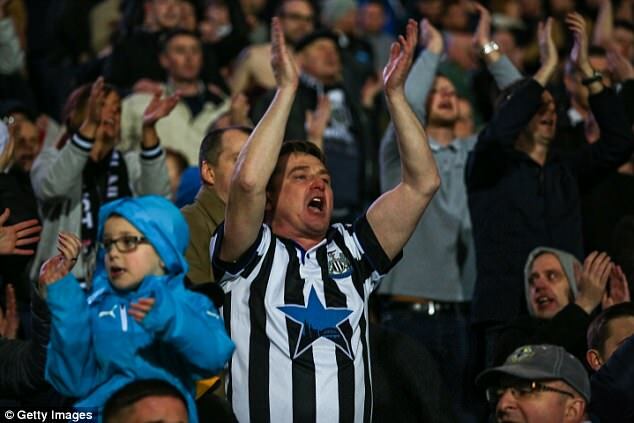 Newcastle supporters are used to that by now. One imagines it is part of the badge of honour of following the club. 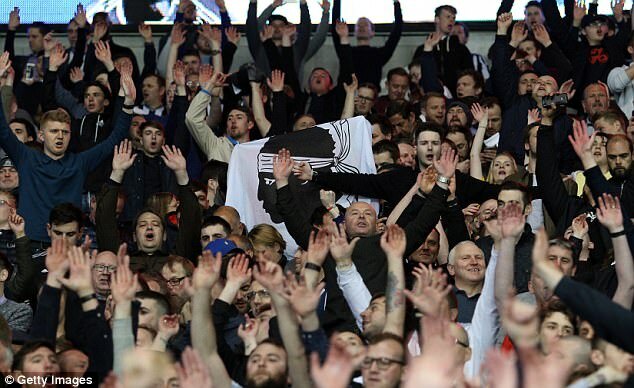 That’s why the Toon Army is regarded more highly than the team. 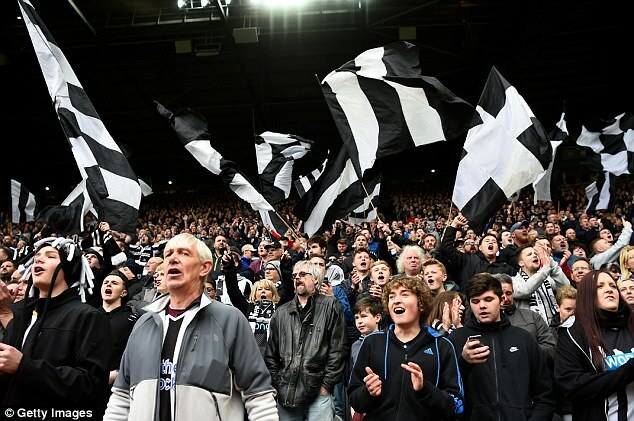 Last year, fanzine The Mag ran an opinion piece listing the 10 best away atmospheres in Newcastle’s history. What inspired this? The wonderful buzz around a 2-0 win at Cardiff on April 28 — played on a Friday night. Newcastle took 4,300 to Wales for a trip that, with stoic understatement, The Mag described as ‘tricky’. And following football is tricky now because fans are not always considered as they should be. But neither is the push and pull of an overcrowded schedule or the fact that for the money invested, TV is entitled to insist on its say. As powerful as Rupert Murdoch may be, he cannot drag Newcastle from the north-east, or stop a genius in the Highways Department shutting the M3 completely on a night when Manchester United visit Southampton. So someone will always end up stiffed, but the money’s good and if you don’t want the aggravation, at least the match is on television down the pub. And that’s far from perfect; but, then again, not much is. England’s footballers will be taken around the country in readiness for next year’s World Cup, a ploy that was used to prepare for the 2016 European Championships. Well, why mess with a winning strategy? 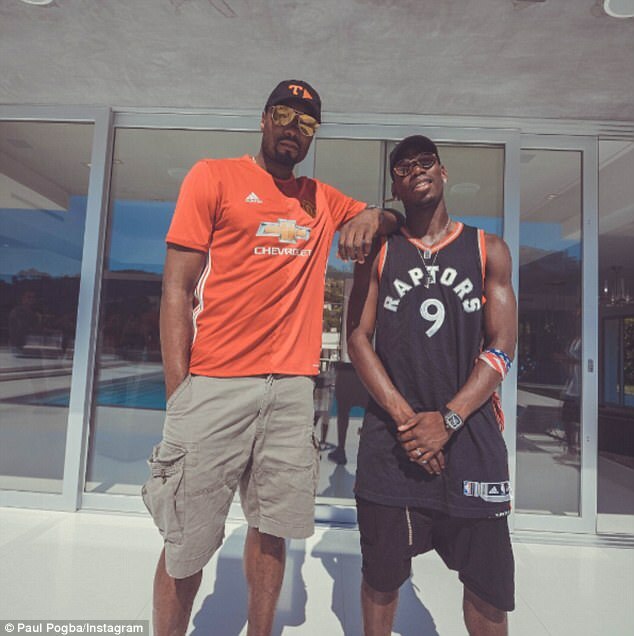 Each summer, Paul Pogba treats us to his holiday snaps. This one is no different. Pogba in China, Pogba in LA, by the pool, on a boat. It gives the impression his media profile may continue to be greater than his professional impact. Don’t be so sure. Some of Pogba’s games at the end of last season, particularly the Europa League final and a friendly for France against England, were outstanding. He got stronger through the campaign and began looking like the player Manchester United broke the bank to buy. He may never live up to that £90million fee — for that money we expect Lionel Messi or Cristiano Ronaldo — but he could be the most important midfielder in the Premier League this season, which would come close. His friendship with Romelu Lukaku should prove important, too. It will require work, as ever, but Lukaku up front with Pogba behind — or even Marcus Rashford up front as an alternate — would be a powerful combination. Pogba had barely played in the English game before leaving for Juventus and has taken a while to adjust but this could be his year. If Manchester United are looking to make a flying start this season, then Romelu Lukaku is most definitely their man. The first visitors to Old Trafford on August 13 are West Ham, and they are Lukaku’s mark. 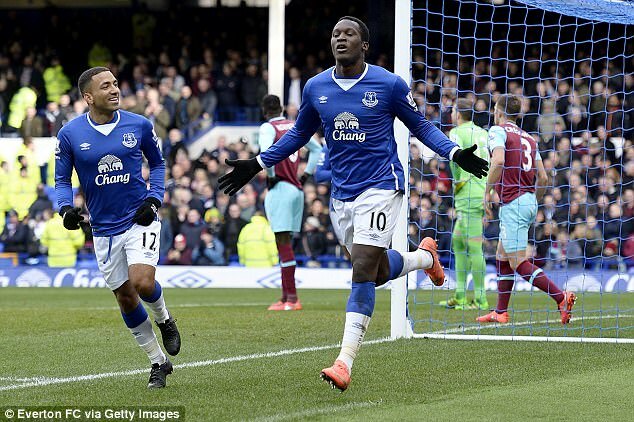 In four seasons at Everton, he scored in nine games against West Ham. He likes Aston Villa, too, scoring in five games over three seasons, and Crystal Palace, with four scoring appearances. Signing for United solves another problem, too, because he certainly doesn’t thrive against them: a run of 10 games without a goal. He never scored a League goal against Chelsea for Everton, either — albeit he couldn’t play against them when on loan — and just one against Tottenham. He does better against Manchester City, and reasonably against Arsenal and Liverpool. But his overall record against the top six clubs amounts to 16 goals in 57 appearances. 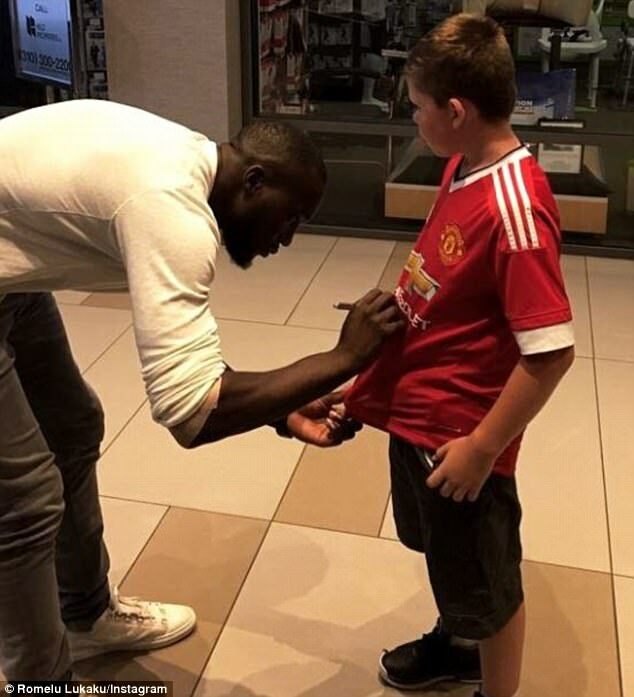 This does not make Lukaku a dud. Diego Costa did not score against Manchester United or Tottenham last season, and only against Arsenal in the FA Cup, and Chelsea still won the League. Yet the last time Manchester United claimed the title — season 2012-13 — Robin van Persie was prolific against their biggest rivals. He scored against every opponent in the top 10, bar ninth-placed Swansea. He scored against Liverpool and Arsenal home and away. And Manchester United are not spending £75m on a striker to finish outside of the top four again. They cannot guarantee, and would not want, another Europa League lifeline. Whether the Court of Arbitration for Sport will take its head from the sand on this issue is another matter, but the IAAF, athletics’ world governing body, have as good as proved that female athletes with naturally high levels of testosterone possess a competitive advantage over their rivals. A study of 2,100 athletes will now be used to challenge a CAS ruling that the use of testosterone-lowering medicine should be suspended. If the IAAF win, as they should, it will affect the terms on which, for instance, Caster Semenya competes. The advantage in 800 metres events is measured at 1.8 per cent; the maximum gain is in the hammer throw, 4.5 per cent. It is astonishing that some have argued testosterone levels are irrelevant. Testosterone levels are what separate men and women, otherwise the entire species could race and compete side by side. Girls play, quite comfortably, in boys’ football teams until testosterone kicks in and then the physical imbalances make this close to impossible. It is no different in athletics. Woodford Green with Essex Ladies are a decent club, but nothing remarkable. Sally Gunnell is their only Olympic gold medallist in 109 years. Their Under 17 men’s 800m record is held by Canaan Solomon, set in 2015. Solomon ran 1min 52.02sec, which would have won Semenya’s 800m women’s Olympic final in Rio de Janeiro by roughly three-and-a-half seconds. Solomon’s time wasn’t even in the top five in the schools’ category in the United Kingdom for 2015. So testosterone is the game-changer, because of the way it builds muscle mass. If a man and a woman go to the gym and train equally, the man’s testosterone level will allow him to build muscle that is beyond the woman. 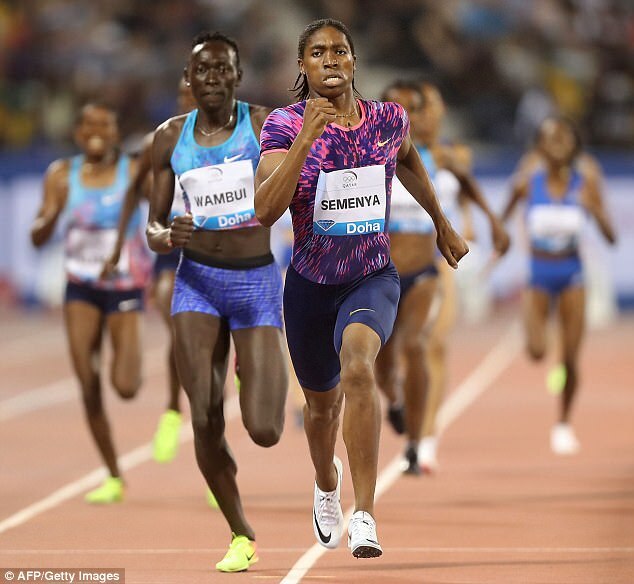 This is why, for transgender individuals competing in women’s events, the IAAF sets a limit on permitted testosterone levels. It is also why men’s events are open and women’s are closed: to protect competition. If you remove testosterone production, or female characteristics, as a factor in women’s sport — which is what CAS effectively did by setting no limit on testosterone — anyone who identifies as a woman could compete in women’s events. Meaning Solomon, or any other very good Under 17 male club runner, could enter the women’s 800m at the next Olympics and win. At which point women’s sport is over. To ignore testosterone as a factor, therefore, challenges the whole concept of female sport. It is the IAAF’s duty to resist. 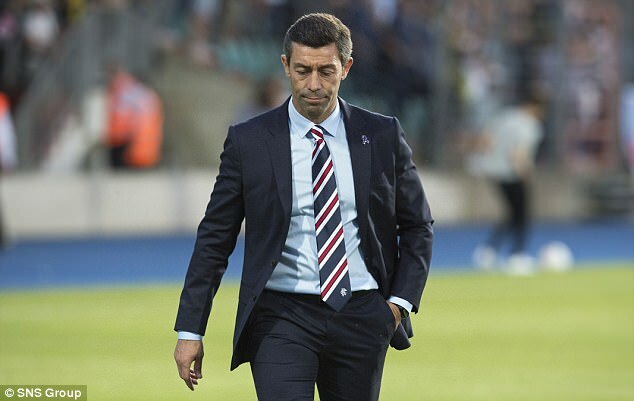 Having recorded possibly the worst result in the history of British clubs in Europe — a 2-0 defeat by part-time Niederkorn, currently the fourth-best team in Luxembourg — the week just kept getting better for Rangers. A day later, the Supreme Court ruled in favour of HM Revenue and Customs over £47million of tax-free loans paid to Rangers players, managers and directors between 2001 and 2010. The court ruled the payments were taxable. Now Celtic have called on the Scottish FA to review the five titles Rangers won in that period. ‘In 2013, we expressed surprise over the findings of the Scottish Premier League commission that no competitive or sporting advantage had resulted,’ read a statement. If Celtic are successful, this leaves Rangers boss Pedro Caixinha in an interesting position, starting the domestic season on minus five titles without kicking a ball. Still, it could be worse. He could have lost to the fifth-best team in Luxembourg.